The beneficiaries were drawn from a pool of 1,563 applicants from 85 countries. India, Kenya and Zimbabwe generated the greatest number of successful applicants under the programme which awards grants worth in total close to USD one million annually. The 51 winning projects from 31 countries will be announced globally on International Youth Day on 12 August. The projects showcase innovative ideas aimed at alleviating poverty, improving employment prospects for young people and increasing the participation of young people in democratic processes. 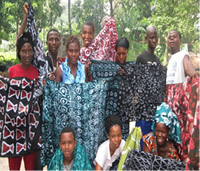 Among the recipients are a Sierra Leonean association providing vocational training for disabled youth, a Zimbabwean youth network empowering young slum dwellers to advocate for secure land tenure; a Palestinian youth forum setting up youth councils to influence the local government, a Haitian organization establishing an ICT training center for youth and an Indian youth group seeking to hold the local government accountable through young citizens media. The UN-HABITAT Urban Youth Fund awards eligible organizations grants of between USD 5,000 and USD 25,000. The groups that qualify have to meet strict UN criteria and are required to report on results and effectiveness. Of some one billion slum dwellers in the world today, it is estimated that more than 70 percent are under the age of 30. These young people have few resources available to improve their own living environments. Click here for a complete list of this year’s grant recipients. Society for Training, Amelioration & Research (STAR) is a voluntary Organization for the rural poor.To conduct action Research on Various youth rural; Tribal, Social & Educational Issues.make the people of back ward are as, self respectful. To involve special package youth programmes for the population. Thanks for your comments. I think you are having problems posting to the blog — if you would like to email them to me I could post them for you. Looking forward to hearing more about your organization. My email is ddragan@istar.ca.